School will be out soon, and summer camp will begin shortly after. This can be an exciting time for your child, because he can stay busy during the summer and engage in fun summer camp activities like field trips and sports. 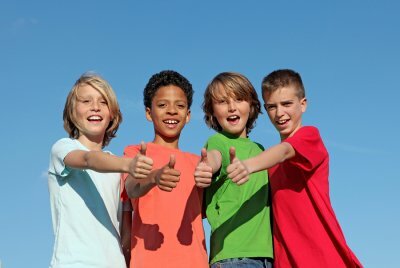 Whether your child has been to a summer camp near Pembroke Pines or not, there are certain tips that can help prepare your child for his upcoming summer. Read on for helpful tips to get your child ready for summer camp. It is important to involve your child in the decision of summer camp. If your child is excited about the different activities, then he is more likely to enjoy his time away from home. Research different summer day camps and speak with each program’s administrator. Find out what types of summer activities are planned for the kids, and ask your child what he would prefer. Also, consider the potential field trips that each day camp offers to provide further incentive for your child to attend. This will make the summer much more enjoyable for everyone. There are certain summer essentials that you and your child should always have when you leave the house. Ensure that your child has a tube or bottle of sunblock in his backpack to reapply, and apply it before leaving the house in the morning. Pack a refillable water bottle and a light lunch or snack to keep your child hydrated and full of energy. Encourage your child to wear a hat for additional sun coverage while playing outside. This can prevent sunburns and heat exhaustion. Once you and your child have picked a summer camp, make an appointment to meet with the instructors or a lead administrator. This meeting is a great opportunity to learn more about the leaders your child will be with all summer, and it helps your child feel more comfortable attending the upcoming program. Will your child be starting first grade in Pembroke Pines ? If so, then both of you are probably excited about this next step, and you may realize that now is a time of rapid development for your student. Read on to learn how your child can benefit from being introduced to social awareness and acceptance while he is in first grade. Children become aware of differences between themselves and others around age 2 or 3. At these ages, they begin to differentiate between boys and girls, show curiosity in differences in hair and skin color, and become aware of obvious disabilities. Additionally, children start to develop racial identities and attitudes at a young age, and research suggests that kids as young as 3 who are exposed to racism and prejudice may embrace and accept these views, even if they don’t understand the feelings behind them. For these reasons, it can be beneficial to introduce first graders to the concepts of social acceptance and awareness at this stage in their development. The bright side for any concerned parent is that biases which children pick up can be reversed and unlearned through positive exposure to diversity. Children have an inherent affinity for fairness, and harnessing this desire and using it as a springboard for conversations about bias and discrimination can help build social awareness and acceptance in children. On the other hand, research has shown that when not addressed, children will notice differences and may develop prejudices, even if they are not discussed by parents. Because of this, not talking to and teaching first graders about bias can allow discriminatory notions to become entrenched in their developing minds. 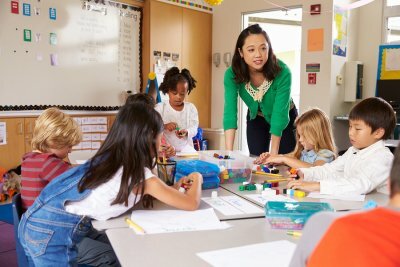 First grade is an ideal time to teach understanding, awareness, and social acceptance to children. For this purpose, experts recommend 5 strategies that can be beneficial to elementary school-aged children. Using children’s literature, teaching anti-bias lessons, exploring solutions, incorporating the news and media, and giving examples that they can recognize and understand are all ways in which first graders can be introduced to and taught social awareness and acceptance. Are you searching for the right preschool in Pembroke Pines and wondering what to look for in a quality program? If so, then you could benefit from learning about the importance of communication-rich environments for child development. Providing children with a variety of experiences can be critical for the growth of their language and communication skills. For this reason, you should look for a preschool program that will help promote your child’s development by providing him with an environment that is language and communication-rich. 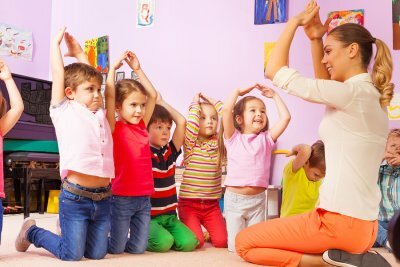 Your child’s preschool program should offer multiple language models over the course of the day, use developmentally appropriate language, model appropriate forms of grammar, and include daily drawing and writing activities. Additionally, your child’s preschool instructor should respond to every communication attempt made by children in the classroom, encourage families to visit the classroom, frequently read to the children, and respond to children based on their focus and intent. Selecting a program with these qualities can help promote the development of your preschooler. Long before your child is ready for preschool or kindergarten in Pembroke Pines, you can instill a lifelong love of reading in him or her. Reading is a cornerstone of early childhood education , even before your child can recognize the words. Read colorful, engaging picture books with your child and encourage him or her to interact with the story, such as by helping you turn the pages and speculating about what might happen next. Watch this featured video to hear some tips from an early childhood education provider. Sujata emphasizes the importance of being a good role model by letting your child see you reading every day. She also discusses some fun games you can play with your child to support letter and word recognition. As more choices become available, parents are finding it increasingly difficult to settle on a school for their children. Are you searching for the ideal kindergarten in Pembroke Pines ? If so, then continue reading for tips on choosing the best one for your child and your family’s needs. To begin the process of selecting a kindergarten for your child, start by researching what schools are available in your area. Then, look at the websites of any schools that you are interested in, ensure that the information posted there is up to date, and read any unbiased parent reviews that you can find. If possible, talk to friends, family, and neighbors that have children enrolled in kindergarten and ask them for their opinions. The next step in this process is to think about the needs of your family and to identify the schools which best support them. Some examples include the school’s proximity to your home or work, its transportation system and bus schedule, and its enrollment cost. Weighing in these factors can be essential for selecting a kindergarten and school that works for your family long-term. What a school can offer for your child can do a great deal in helping you decide on a kindergarten. Do you want your child exposed to second languages, the arts, or other alternative programs? Also, consider how much emphasis the school puts on physical education and discover if they feature a gymnasium and playgrounds. Finally, study the kindergarten’s curriculum to get an idea of the education to which your child will be exposed. In many cases, meeting your child’s potential educators can be the easiest way to come to a decision about what kindergarten is best for her needs. Considering that your young child will be away from you for long periods, it’s important to choose a program whose teachers you feel comfortable with and are nurturing towards the students. Make an appointment with any school you are interested in to give yourself a chance to meet the principal and kindergarten teachers. Pre-kindergarten , also called pre-k, is an essential period of education and interaction in every child’s life. 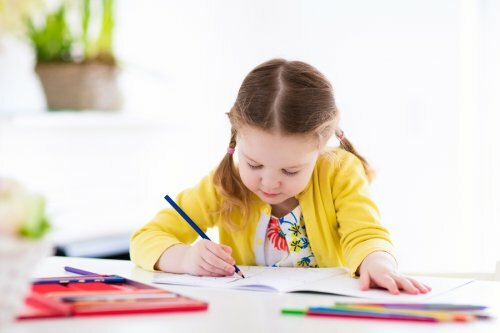 By attending a qualified pre-k program in Pembroke Pines, children can learn a variety of necessary skills and subjects that will positively influence their future education and social interactions. If you have ever been curious about what children learn in their pre-k programs, speak with a pre-k school near you and continue reading to learn more. One of the most important learning skills children can learn with pre-k is a love of learning. Pre-kindergarten teachers are trained in making learning exciting. They can show children the adventure found when trying to discover something new. As children experience this excitement and thrill, they are learning skills to help with future reading, math, and history subjects. When children can associate learning with fun and excitement, they are more likely to enjoy learning as they continue through school. 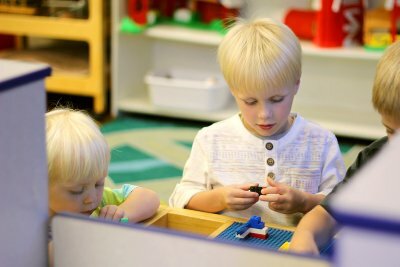 Though the two terms, teamwork and independence, are contradictory, they are both important skills children learn in their pre-kindergarten class. Up until the pre-kindergarten age, usually 4 years old, many children may not have had much interaction with other children. Some children have only relied on their parents to do most chores for them. By attending pre-k, children can learn two valuable skills needed to get through life. They can learn how to play and work well with their peers. They can also learn how to clean up their messes or finish a project by themselves. Many parents enroll their children in a pre-k program because it gives the children a head start in learning necessary subject skills. Children will learn, in fun and engaging ways, about the early concepts of reading, math, and language. They are often exposed to earth science, art, music, and simple history. As children learn these pre-academic skills, they can enter kindergarten and grade school better equipped to learn harder concepts.